FIRST ZOO WAS FORMED IN CHINA in 12th CENTURY B.C. Today there are thousands of zoos all over the world, biggest ones are found in North America. Have you ever seen a zoo? From your point of view, what is most striking in a zoo? yes numbers of times i have visited their with my husband and my baby . me and my baby both like to see all kinds of birds (specially peacock) and tiger . You have not mentioned the name of the zoo. Is it located in Hyderabad, India? I post here a p;icture of tiger. You seem to have travelled a lot of places with your baby and husband. Thanks for additional information. THE MOST STRIKING THING THAT I FIND IN ALL ZOO IS THAT THE ANIMALS ARE CAGED AND THEY ARE LIKE PRISONERS.. WHERE AS IN WILD LIFE SANCTUARIES THERE IS A NATURAL ENVIRONMENT AS THAT OF A JUNGLE AND TRUE NURTURING OF ANIMALS IS POSSIBLE IF THEY ARE PROVIDED WITH ANTURAL SURROUNDINGS. EVEN PEOPLE MAKE FUNN OF ANIMALS IN THE ZOO..
Ihad been to Zoo at Auckland, The New Zealand and there I noticed that behind the cages they had provided substantial space and created a natural forest-like atmosphere for the animals to take a walk. That concept can also be adopted in india if the people over here but some strains on their mind. what do u say?? i love taking my daughter to visit the zoo. some big zoos do take proper care of their animals and are there for research perposes and do a lot of good things for the animals. some smaller zoos though aren't a good environment for the animals. i went to this one place with my daughter and i saw the wolves and they had such a small enclosure and just kept passing back and forth. i know that this is a behaviour they get from being in small places and when they are not happy becuase they don't have enough room to go around. i started crying cause i felt so bad for them. places who don't have enough room or can't properly take care of these animals shouldn't ba allowed to have a zoo. You have a great concern for animals and your point is valid and thank you for the same. 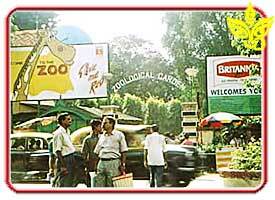 I had been to Nepal, but probably I did not enquire about zoo. Glad to know that there is a zoo and lot of animals are kept there. thanks for your response. I went to zoo frequesntly when I was young, and now I seldom visit zoo anymore as there is nothing much to visit now in my country. A zoo should have the animals that we rarely see, like white tiger. I saw a white tiger before, in one of the zoo in my country. Too bad he only lay down there, doing nothing. And according to my mom, if you can see a peacock open up its 'tail', then you will be having good luck. So whenever I go to zoo, I will be searching for peacocks and wish that they will open up their tails to when they see me. But wish is still a wish. As school children we all used to keep the feathers of peacock as we had faith that it would bring good luck as you said. Thanks for your interesting repsonse. yes..i have had visited zoo many times...its located very near to my place.rani bag is zoo name in mumbai and i haave visited several time there.for me the most striking in zoo was that animals under very small cage and there was no name of cleaniness.it was really dishearted to see animal under small cage and specially snakes in small glass box.anyways..these day they are working to provide large space cell for animals. I am glad to learn from you that now the authorities are thinking of providing natural setting for animals inside the zoo. I have seen a zoo in Mysore and a snake part in Chennai. In most places, man handles the animals, but he manhandles them. 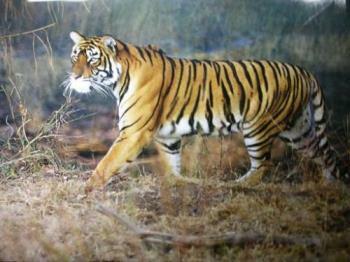 Corbett's Tiger Reserve and also one in Gujarat are all famous wildlife sanctuaries. 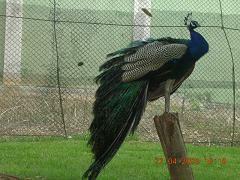 It is better to see the animals in wildlife sanctuaries than in zoo.Thanks for your response.